Black Church Print Studio was originally housed in a warehouse on Ardee Street until it moved to the Temple Bar area of Dublin nearly twenty years ago, in 1994. 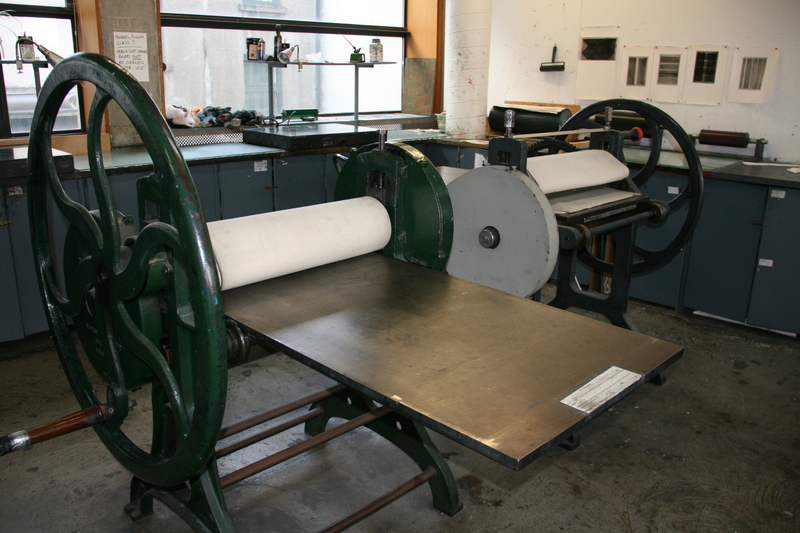 It is currently home to over seventy artist members all working in a variety of printmaking media. The different floors of the space naturally divide it into separate areas for lithography and relief, which is on the first floor, etching on the second floor and screen-printing, which takes over the top floor. I spoke to three artists who are currently using the space at Black Church to make work; Colin Martin and John Graham who are both long-standing full-time members of Black Church and Jesse Jones who has worked on editioning projects and as well as being an invited artist for the Black Church Process project in the studio. 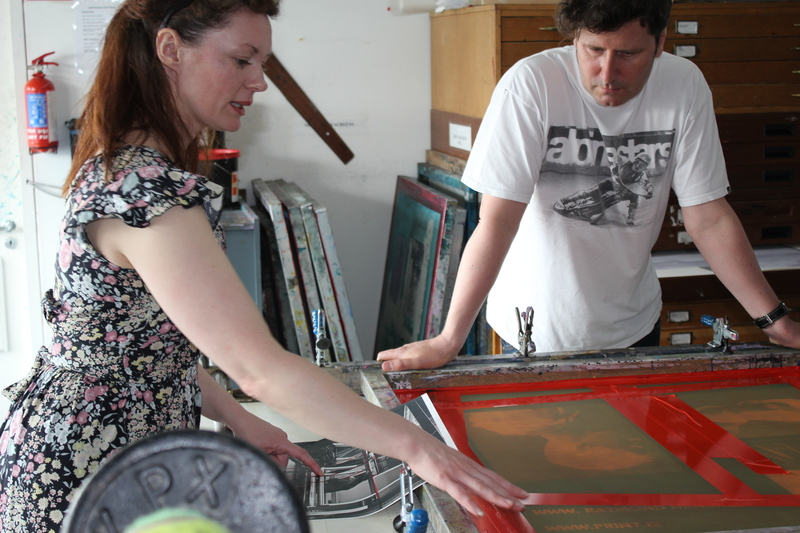 As a long-term artist member, Colin Martin, who also previously worked as a print technician at Black Church, told me that the reason people choose to join a communal studio like Black Church is because it can offer them access to a great peer network, use of top of the range machines and professional technical support. Although there are so many members it is rarely the case that the studio is too packed at any one time because there is an open door policy for member artists so they can work whenever they like. Printing is a new medium for me so I asked Colin to talk me through some of the processes, which I will try to briefly explain here. 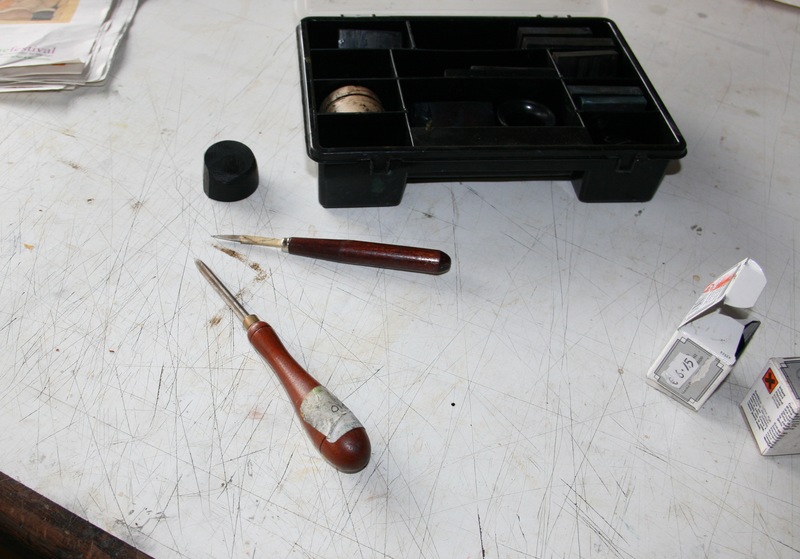 Etching: Starting with a blank copper plate that has been covered with wax (hard or soft ground), you can either draw into the wax with a specialised tool called a scribe which will completely remove the wax from where you draw or you can draw on paper over the wax which will partly remove the wax. The plate is then put into a bath of acid which bites into the pattern made by the removal of the wax. 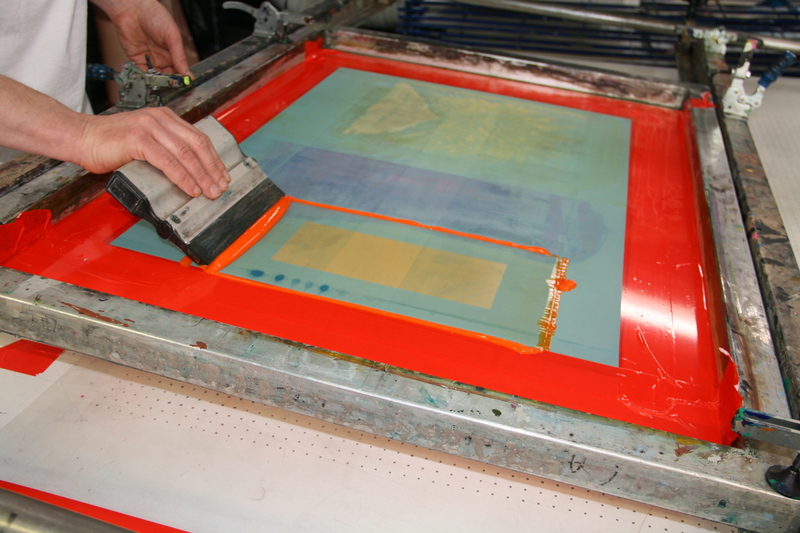 Ink is then rolled onto the plate and it is passed through a printing press where the image is transferred onto paper. Any image can be exposed and transferred onto a mesh screen which is stretched over an aluminium frame. The perforations in the screen allow ink to pass through onto the paper that is being printed onto. 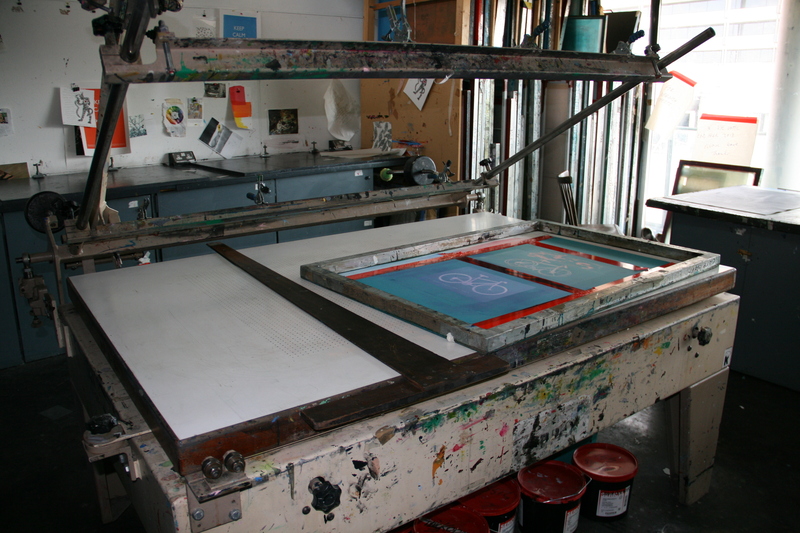 Ink is collected on one side of the screen while it is held away from the printing surface, then the ink is dragged back across the screen with a squeegee and the image is transferred to the paper. I visited one of the screenprinting classes that master printmaker Raymond Henshaw was giving and had the opportunity to watch Liam Keogh, who was taking a class, go through the process. Liam Keogh making work in a screen printing class with Raymond Henshaw, dragging paint over the image with a squeegee, 2013. Last year artist Jesse Jones was invited by Black Church to take part in the Black Church Process project. This is a new initiative from the studio where artists working primarily in other media are asked to explore the printing process within their practice. Jesse said that it has been a great experience and a learning curve for her. She had never really worked in printing before and it offered her the opportunity to make some experimental work through print with the guidance of Raymond Henshaw. 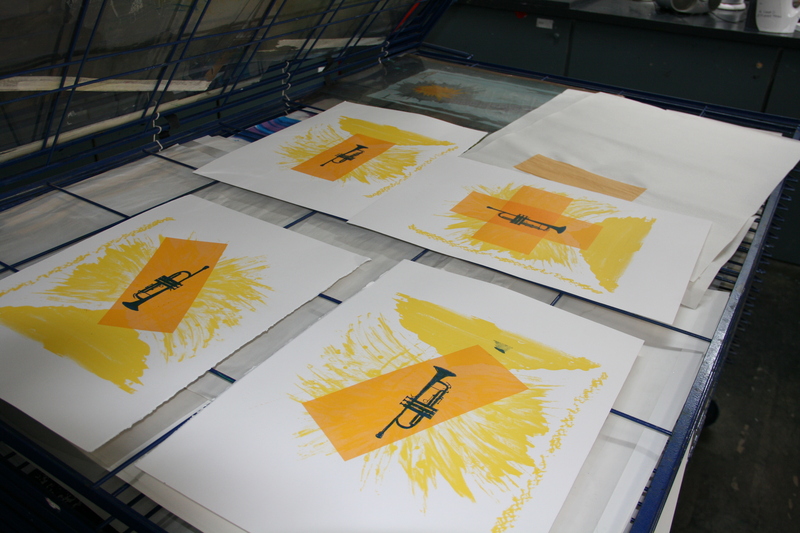 Jesse works mostly in film which has lent itself very well to the screen-printing process. She is currently working on a new public art piece called the Prosperity Project, a durational project in which she will be programming artists to make works and inviting other artists to Ireland to speak about prosperity without capitalism. Prints made by Jesse during the Black Church Process project 2013. Image courtesy of the artist. The end point of this work will be documented in some way through print. She explained that because a lot of her work is ephemeral in some ways that she enjoys the materiality of making prints and said that her film installations and projections are often intangible and contingent on experience of the work whereas using print allows for a residual archive for the work. When making a film she often allows the original context of the work to drift away from the work being shown but printing allows it to exist as an archival reference. I asked Jesse how she was finding the whole printing process and she said it reminds her a lot of film. She worked for a long time with analogue film so she said she understands the process in terms of the transfer and materials and likened it to a pre-analogue film process. Jesse in the studio with Raymond Henshaw, 2013. Image courtesy of Black Church Print Studio. John Graham is a full-time member of Black Church and he uses the studios for intense periods of time and then not at all for a time after that. He makes work in a variety of media and is currently making etchings. When I visited him in the studio he was going through the proofing stage of the etching process. 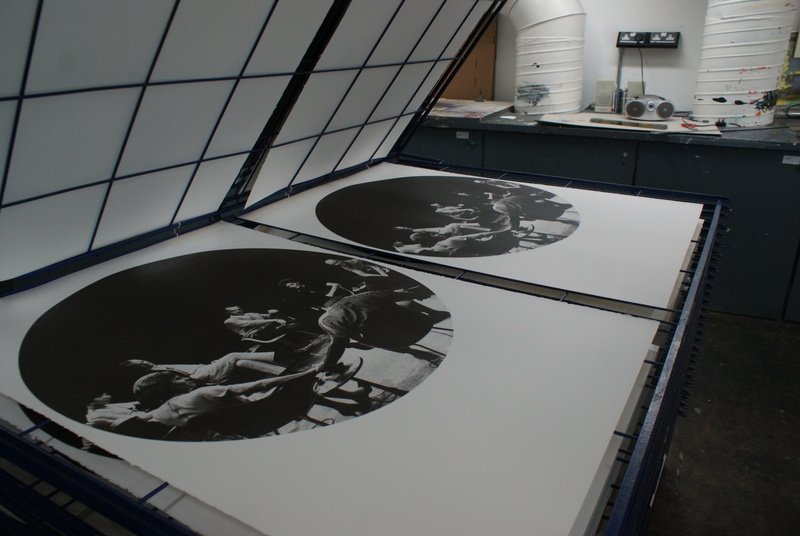 John Graham’s work in progress – the proofing stage, 2013. Image courtesy of the artist. He said that the proofing stage is something that particularly interests him because it’s when decisions really come into play. “You’re printing the plate in order to see what’s there and make a decision about keeping it, changing it, … or throwing it in the bin.” The fact that you can see the printing process go through stages and record them as a physical thing is important to John. One of the things he likes is for a drawing to look like what it is. He doesn’t use drawing to mimic the world around him. He is not interested in printmaking as a means of reproduction and wants the actual process of printmaking to be evident in the final piece of work. His imagery has grown from his fascination with the materials themselves – the metal, the varnish, the wax, the inks, and he said that, while the etching process transforms materials, he also wants to preserve a sense of their identity within the finished work. John Graham’s work in progress. 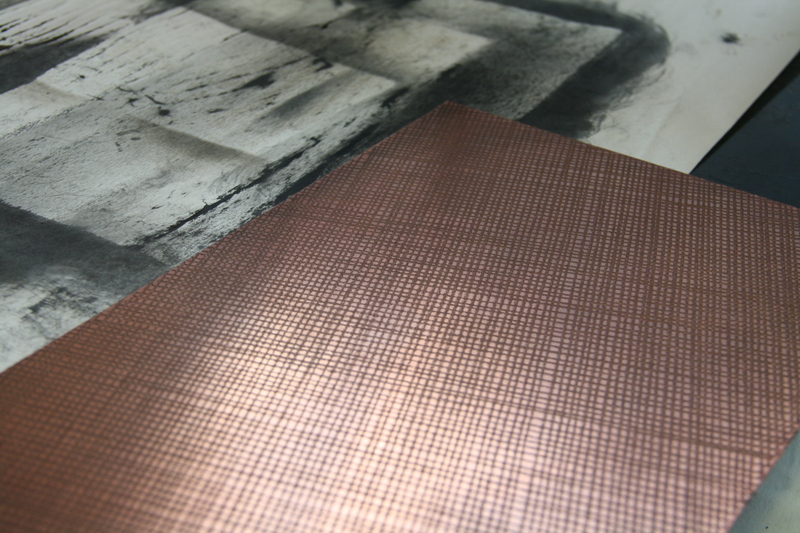 Copper plate with etched lines from a pencil drawing, 2013. John described his work in general as “rather relentless, stubborn and repetitive.” A lot of nearly the same thing is happening but there are inevitable small differences. The works he was making at the time I visited the studio were, he said, in some ways typical but also a little different because he was trying a new technique. He was making prints using pencil drawings impressed into a soft wax. He showed me the process of drawing onto paper directly on top of the wax. The pressure of the drawing pushes the paper into the wax and lifts some of it off. In doing so, it exposes some of the copper plate, which is subsequently bitten into by the acid. The result is an etched line that mimics very closely the line drawn by the pencil. John Graham’s work in progress. 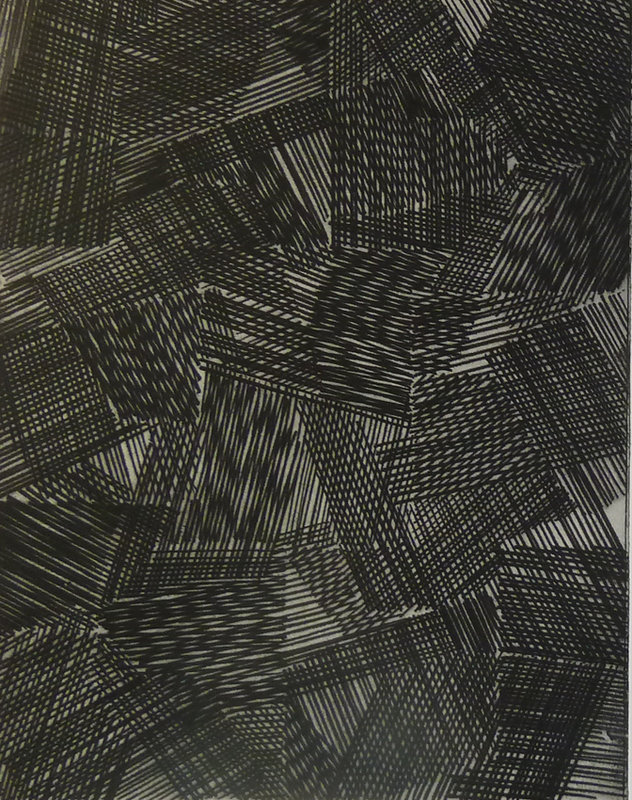 Detail of printed proof with layers of different pencil drawings, 2013. Image courtesy of the artist. 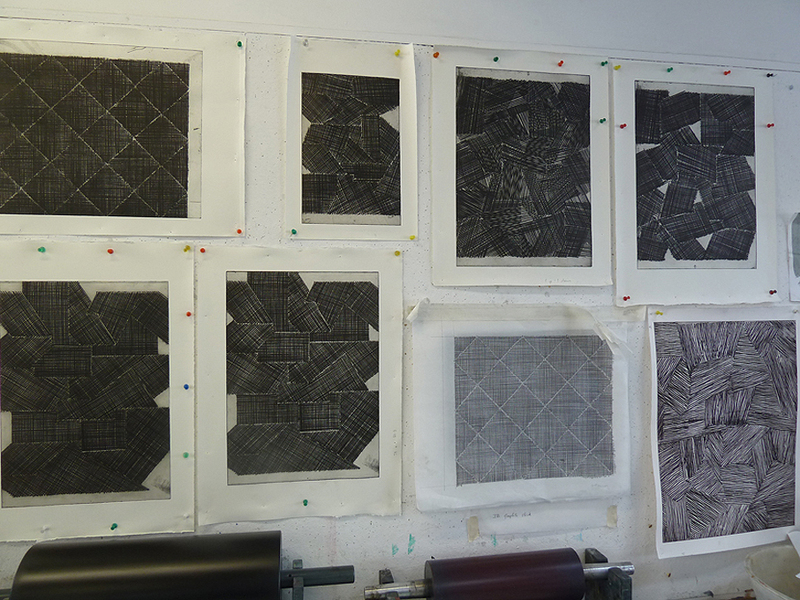 You can read more about Black Church Print Studio here, Colin Martin’s work here, Jesse Jones’ work here and John Graham’s work here. I enjoyed that blog , it had a nice mix of text and image. I was glad to get it because I have being thinking for ages of getting back into Print , I used to do Etching and Lithography in the old Graphic Studio and very briefly when it was the Black Church. This has come at the right time. Maybe could you send me info or if not I will sort it out myself.